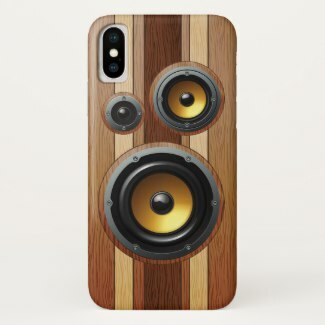 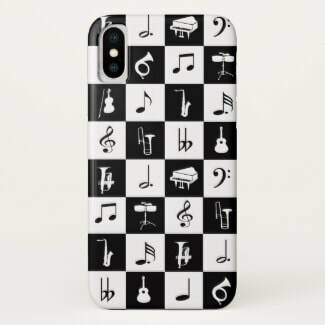 Piano keys and golden musical notes, retro cassette tape and a classical guitar, feature in this collection of iPhone x cases for musicians and music lovers. 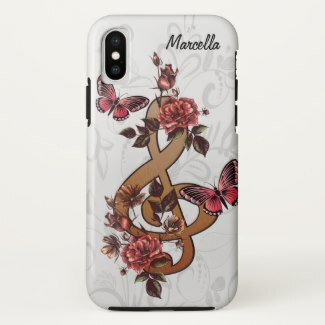 ​An elegant design for the pianist or keyboard player - featuring keyboard keys with golden colored musical notes on a black background. 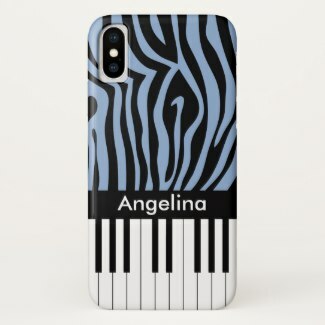 ​A trendy and hip music design featuring piano keys with a sky blue zebra print on black pattern. 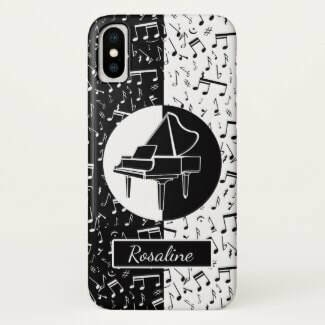 Perfect for the pianist, piano student or the piano lover.